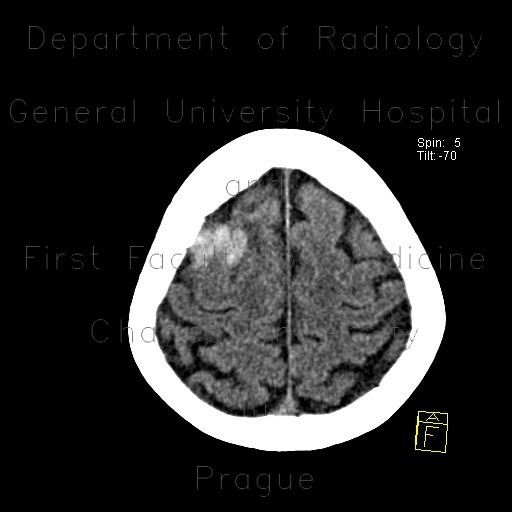 Initial CT showed bilobular mass of high density in cortex of the right frontal lobe accompanied with pronounced perifocal edema. The density of the mass indicated bleeding. On the follow-up CT scan, the mass decreased its density but showed enhancement. The edema was still present. This finding was consistent with brain neoplasia - in this case a metastasis.